In 1977 Tony Snyder, with a small committee, launched a community band in Omaha, soon to be named the Nebraska Wind Symphony. Volunteers quickly formed a large, surprisingly balanced concert band, which Snyder conducted for its first 18 years. The band you see today still bears the stamp of Tony’s devotion to music and carries on his vision of excellence and rousing entertainment for a broad audience of music lovers and students. 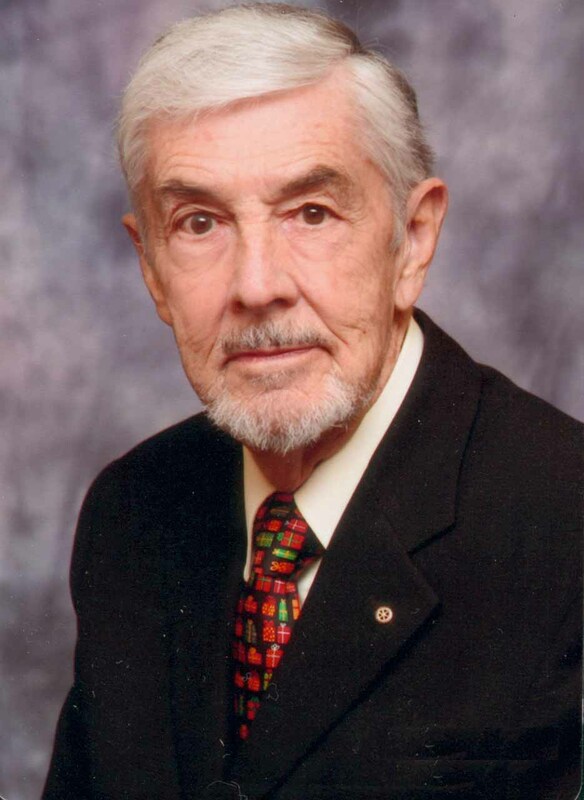 He established the band’s three formal concerts and also led other performances, including those at the Downtown Omaha Summer Arts Festival and the Nebraska State Bandmasters Convention. A native of Marathon, Iowa, Tony served in France and Germany during World War II. He earned music education degrees from Morningside College in Sioux City and the University of Colorado, as well as a specialist degree in educational administration from the University of Nebraska at Omaha. 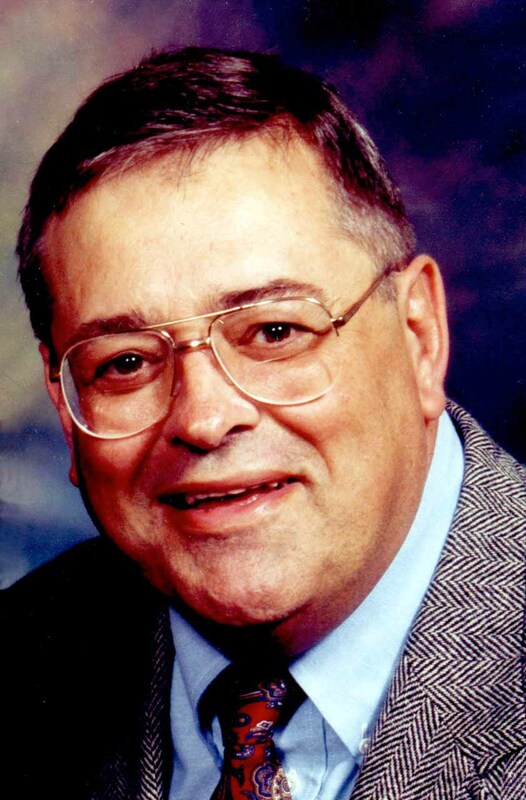 He taught music in Hawarden and Harley, Iowa, before joining the Westside Community Schools in 1954. He directed Westside High School’s bands for 21 years and was the district’s fine arts coordinator for 12 years. Snyder was a piano major in college but played cello in the Sioux City Symphony and saxophone in the Monahan Post Concert Band in Sioux City. He also has conducted festival bands in Iowa and Nebraska, the Omaha Ballet pit ensemble, the Omaha Area Youth Orchestra, the UNO Concert Band and, for 16 years, the Countryside Community Church Choirs. He also guest-directed the Lincoln Municipal Band and the Sioux City Municipal Band. He and his wife, Joan, married 63 years ago and have a son, Mark of St. Louis, and a daughter, Melanie, of Tulsa Oklahoma, plus a granddaughter, three grandsons and two great-granddaughters. Tony’s hobbies include woodworking, travel, reading history books and walking. The viola seemed like just the right instrument to young Lowell Turner, but his father, seeking a more manly instrument, gave him a clarinet one Christmas. Lowell was thrilled and played the clarinet in high school and college, but it sat in the closet for 12 years after his school days. When the Nebraska Wind Symphony was formed, Lowell dusted off the instrument and came to the first rehearsal, where, to his delight, Barb Teter sat right next to him. Three hears later, the Nebraska Wind Symphony provided music for their wedding. Lowells’ true instrumental love, however, was the contrabass clarinet, which, he used to say, gave him an excuse to make rude noises in public. The band also let him blend his art with his profession-business communication. A graduate of Michigan State University, he ran the Union Pacific Railroad’s in-house magazine, Info, for 20 years and then left to start his own communications company. His enthusiasm, humor and hospitality made audiences feel like they were friends in his living room, and his research for the concerts brought the music and the composers to life for band and audience alike. Lowell also worked behind the scenes for the band, serving on its board and encouraging it to join the Association of Concert Bands. He spearheaded the national group’s 1992 convention in Omaha and helped recruit the band’s second director, Larry MacTaggart. Lowell also was a board member of the Douglas Racing Crop., which oversaw the development of Omaha’s Ak-Sar-Ben property. Lowell was diagnosed with Parkinson’s disease in 1995, gradually losing his ability to play the clarinet and, a few later, his ability to act as emcee. To the end he remained a fan of the band. His enthusiastic “Bravo!” at the end of concerts signaled his presence, even when leaving home became a challenge. His courage and humor, as well as his devotion to the Nebraska Wind Symphony, remained intact until his death in 2009 at age 66. Besides Barb, his survivors include son Geoffrey, daughter Stephanie and four grandchildren. The trumpet was Mark Foster’s instrument from the time he was 8 years old, and the most difficult part of his battle with cancer was having to give up his beloved horn. It had taken him from Carnegie Hall to stages in Omaha, where he was ot only a performing member of music groups but a leader as well. His death in 2001 at age 75 deprived us of many more years of his music. Mark was born in Dexter, N.Y., played in the high school band and in college at Clarkson University and Pottsdam University in upstate New York. When he went to work for the Bell System’s Western Electric, he formed his own band, called the Urban Knights. Although work was his main focus during those years, he continued playing in recordings and at local bars in Greenwich Village. He also was a member of the Metropolitan Bell Symphony Orchestra for about 15 years, playing at company events and a performance at Carnegie Hall. The weekly rehearsals set a pattern for Mark when he transferred to Omaha, where he was a charter member of the Intergeneration Orchestra and an early member of the Nebraska Wind Symphony. From NWS playing members, Mark founded the Swingtones, a 17-piece stage and dance band that started out playing gigs at Happy Hollow Country Club. 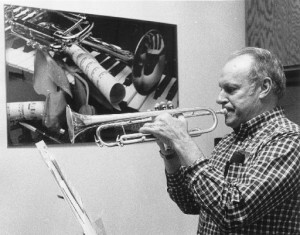 He also formed a Dixieland band called “Saints and a Sinner.” His standard line, “It’s up to audience to pick out the sinner.” He also played with a three-piece group on the side, and was one of the inspirations for the “Friendship Suite,” an original composition by former NWS Music Director, Larry MacTaggart. Mark is survived by his wife, Mary; daughter, Nancy; sons, Mike and Doug and six granddaughters.